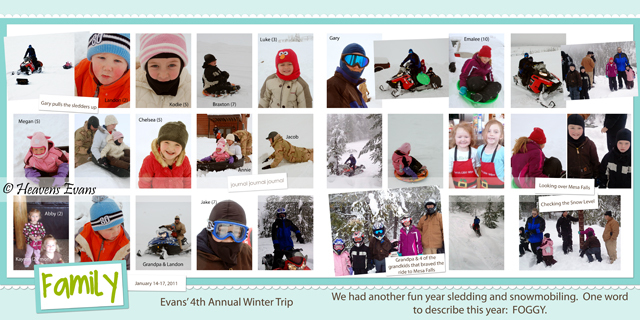 This Weekly Photo post is actually a scrapbook page of our Annual extended family trip to Ashton, ID. I really liked this layout and the fun page that it was. I got the Template free from Manda Girl. I LOVE her templates.